As a Charter Member of ICOR, you have the opportunity to shape the future of organizational resilience around the world. Charter Members are recognized on our Leadership page with a photo, description of their specialty, and links to their emails and website. Charter members are also invited to post on the ICORrespondence Blog. Charter members save 20% on ICOR courses and $200 on certification fees. The Corporate Membership is ideal for organizations wo would like to offer ICOR membership benefits to six of their employees. Corporate members receive six General Memberships for the price of five. Corporate members also save on services in the ICOR Career Center. Post a job or purchase resumes at as much as 50% savings! General members make up the main body of ICOR. Any individual who can confirm his commitment to one or more of the resiliency disciplines is invited to apply for a general ICOR membership. General members save 10% on ICOR courses and $100.00 on certification fees. 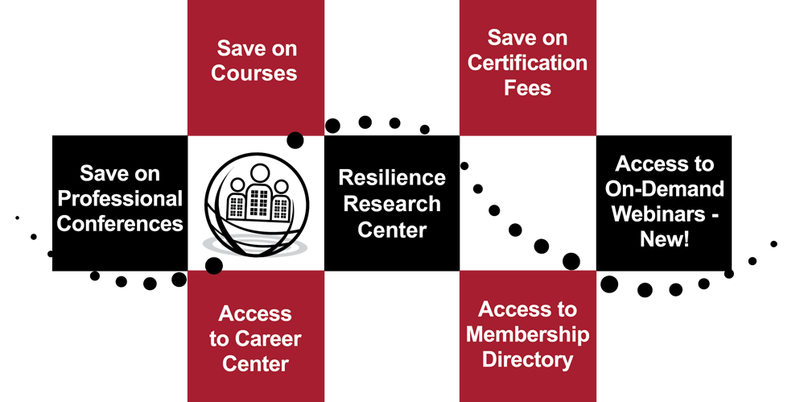 The education membership is designed for those individuals who are faculty members of a college/university, who teach or conduct research in a discipline supporting organizational resilience, or who are currently students at a college/university. An education member receives all of the benefits of a general member - but at a reduced price.